I know, it’s the end of January. Chances are that many of you are already starting to get enough of this winter and are looking forward to the spring. Believe me, I am too. But what better way to warm yourself up in these cold and short winter days but to do some new, warm creations with decorations made of hearts? And this is exactly what this blog post is all about. 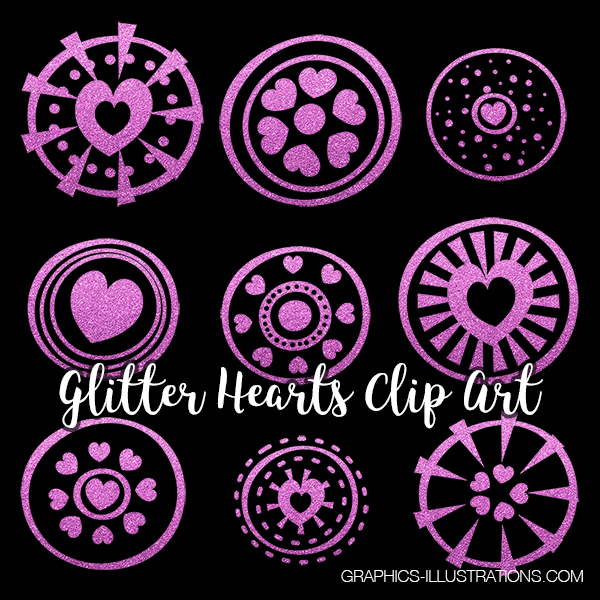 In this blog post, as you guessed, I am introducing a brand new product from my little factory of visual creations. As always, together with the Premium version of my products I offer a little teaser, free version so that you can verify and check the quality of my work. (Which I am very proud of, by the way, just check the reviews on my Etsy Shop. 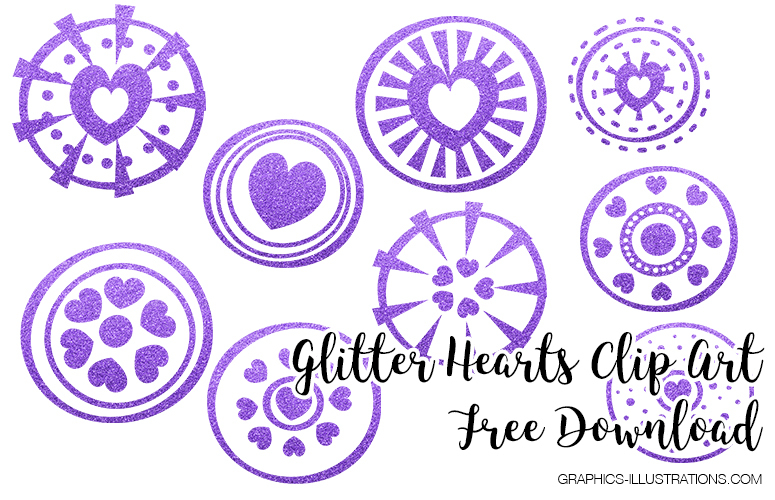 Free version of Glitter Hearts Clip Art comes with a commercial license just like the Premium version so you can you use it in your commercial projects. 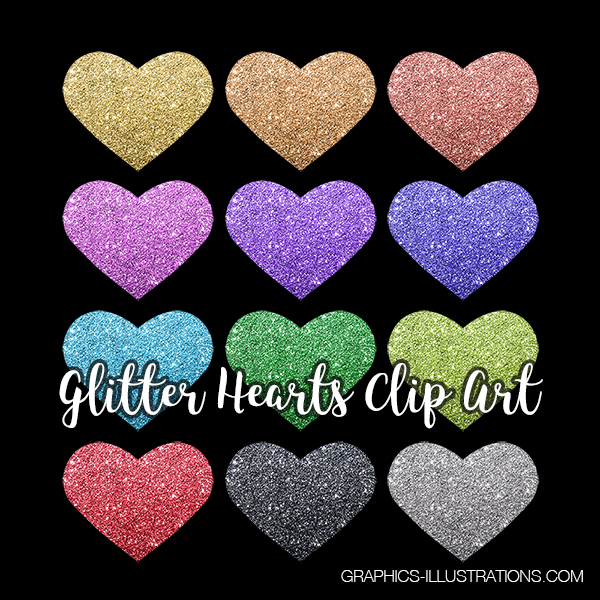 Get the premium version of Glitter Hearts Clip Art set in Graphics-Illustrations.Com Shop. You may also consider getting it in the legendary GreenBulbGang web site (it’s free for GBG Lifetime members). Finally, this product available in my Etsy Shop called FiveCatsGraphic by Etsy. When it comes to compatibility, it is compatible with all versions of Photoshop as well as any other image editing software. These PNG files have transparent background so you can apply them to any kind of visual creation you can think of. So, there is plethora of options on how to get this pack. I hope you will opt for one of them and make some great stuff with it. So, as we wait for the warmer days to come, you can warm yourself (and others) up be creating something new, something with hearts on it. And if it will be these hearts, from this blog post – even better.